← Vaginal Cosmetic Surgery -Really!! Donna Wyatt does not work for, consult to, own shares in or receive funding from any company or organisation that would benefit from this article, and has no relevant affiliations. 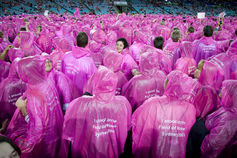 Pinktober, when hundreds of products turn pink for breast cancer, is a curious month – more carnival than commemoration; more rose-coloured glasses than true blue conscious raising. Concerns have been raised about “pinkwashing” and the commodification of breast cancer in the United States, particularly how the meanings ascribed to pink – girlhood, girl-power and happiness – have effectively turned breast cancer into a consumer product. But in Australia, few questions are asked about this unusual cultural practice. Like most years, this past October was full of efforts across the country – RMIT pinked-up for the global illumination project, hundreds of pink breakfasts were held around the country, and domestic cleaning giants, Ansell and Vileda, created a special range of pink cleaning products. Pinktober’s carnival-like atmosphere, cheerful get-togethers and domestic embellishments could make you forget that breast cancer is a killer disease. In the words of US sociologist Barbara Ehrenreich, breast cancer has been “bright-sided” – turned into something positive – where victims (a word discouraged in breast cancer parlance) advocate cheerfulness, affirmation or rites of passage. While the culture covers a wide variety of upbeat products and projects, pink is the unifying linchpin. 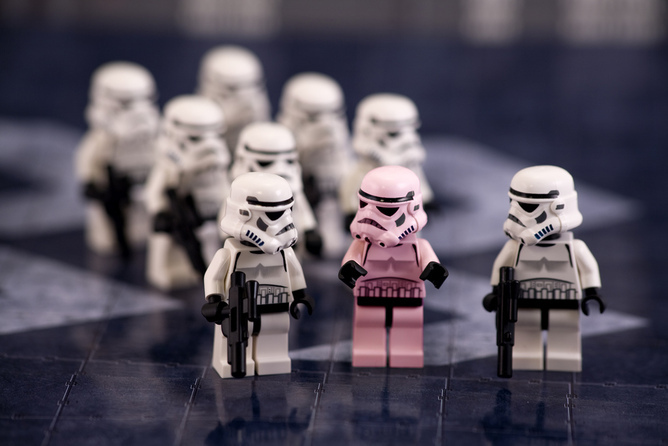 First a history lesson – pink has not always been coded female. Despite its well-documented connection with western femininity, pink has only been a feminine colour since the 1940s following the ingression of modernist French influences. Before this, blue had generally been associated with girls because of its correlation with the Virgin Mary; pink was connected with boys because it was a lighter shade of “masculine red”. Clearly, the meanings attached to colours change. Yellow, for example, means cowardice, as in Kenny Rogers’ Coward of the County, or caution, as in traffic lights, or trippy as in Donovan’s Mellow Yellow. Blue has been both a hot and cold colour, a signifier of divinity and the working class. So, for Brinker, regular pink is sweet and nice, like Barbies and princesses, but “breast cancer pink” is strong and feisty. Recontextualising pink apparently shifts its meaning from girlie to girl power – from passive to active. The only problem is that in this context, girl power resembles buying power and active is really a passive form of protest. “Show your support for breast cancer research by going shopping!” suggests one organisation. “Fight like a girl” urges a popular slogan accompanied by a pair of pink boxing gloves. For convenience, this slogan is available on tee shirts, lip balm, bags, key chains and bracelets – products completely disconnected from the actual experience of women with breast cancer. 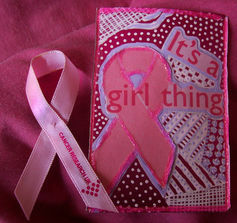 Indeed, these products suggest youth culture and girls – a demographic unlikely to develop breast cancer. It’s no wonder that Breast Cancer Action – the group that popularised the phrase “Think before you Pink” is having a pink fit! If breast cancer pink truly represents power, how come it resembles a carnival with youthful celebrities in the pink of health? How come it adorns tee shirts with sexist slogans such as “save second base”? How come it’s on buckets of KFC when obesity is a known risk factor for breast cancer? How come it implies awareness more than cause or cure? It’s surely time to “rethink pink”. While it adorns carnivals, celebrities and gendered consumer products, breast cancer pink will continue to be a symbol of princesses, happiness and camouflage – not power, action and advocacy.